"La Mejor Jugada" is a creative, interactive and entertaining soccer game that will be available starting today at seccionamarilla.com. Once online users create an independent profile, they can play and learn about the history of soccer. Participants will have the chance to win over 5,000 prizes including: Trips to South Africa for two, 42" plasma TV's, soccer jerseys, soccer balls, mugs, gift cards for online sporting goods and many more prizes. "With the launch of this campaign we are seeking to achieve many objectives. One of them is to connect seccionamarilla.com with our users by offering them the opportunity to learn more about our digital products through an exciting and innovative experience. Furthermore, Seccion Amarilla will demonstrate to its clients that their message will be exposed via a reliable medium that contains an innovative advertising channel and indicates market tendencies. This will reveal that we work hard to assure that advertisements will be exposed to millions of online consumers. We want to validate to our clients how advantageous it is to advertise with us," assured Juan Reffreger, CEO of Seccion Amarilla USA. Inspired by the tradition of soccer, this campaign will be supported by the image of four spectacular Hispanic models, which were selected after a nationwide casting call. 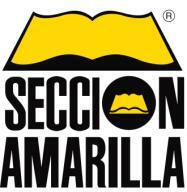 "On this occasion, the creative concept developed by Seccion Amarilla USA's marketing department seeks to reflect the models' intellectual, dynamic, and winning personalities. These personalities will be the essence of our brands, users and clients," commented Miguel A. Capriles, National Marketing Director of Seccion Amarilla USA.